Mobile enterprise solutions have emerged as the next big thing in the market for businesses. With the ever-increasing number of mobile users, businesses are now more focused on getting a bigger share of the pie by utilizing the unearthed potential in the mobile arena. 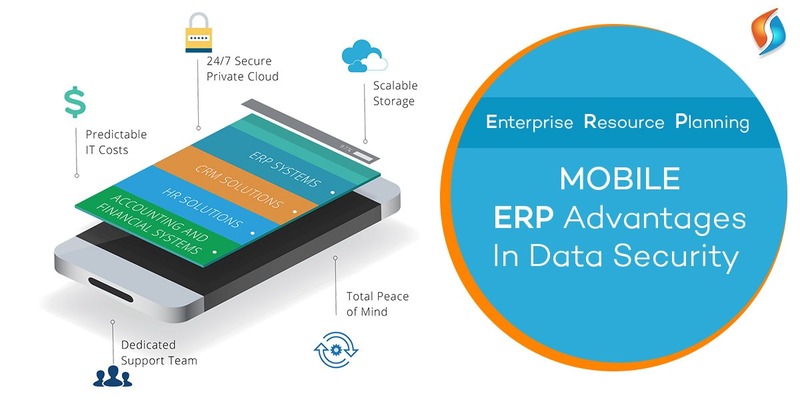 If you are wondering what makes it important for a business to go for ERP/CRM mobile integration, then we have got a long list of reasons. In today’s time, a business is as good as its data management capabilities. Businesses that fail to leverage the power of data are surely going to fall behind in the race to the top of the mountain. However, enterprise mobility solutions allow you to get real-time user data. This will help you make the decision faster. Also, they play a vital role in building better processes based on the user-information you get. Therefore, the first advantage of mobile ERP lies in the fact that it allows you to have better, faster and more efficient processes. Once you have streamlined processes it becomes quite easy to maintain a smooth workflow in the team. This is again where enterprise mobility services can be your best friend. As already discussed mobile enterprise solutions make the business processes faster and more streamlined. Thus, providing you access to user information in real time. With options like workflow alerts and more, you can easily notify the team for their tasks. And get them going without any hassle to complete the tasks on time. For a business to have sustainable growth, having efficient operations is a must. As mobile enterprise solutions allow you to have access to real-time information and data, you can eventually take quick decisions, and act upon emergency situation if needed. This eliminates the scope of any inefficiency in the operation which could put a negative impact on the sustainability of the business processes. When processes are streamlined and business decisions are being made in quick time, chances of operational inefficiencies are automatically minimized. Apart from all these major advantages, mobile enterprise solutions also give businesses a competitive edge. By allowing the teams to remain connected on the go, it eliminates the need for team members operating from the field to make frequent visits to the premise only to report. Plus, the fact that workers can remain connected to work on the go, and 24/7 makes it an even better thing for a business. You can see that there are a number of benefits of using enterprise mobility solutions for business. Get the best enterprise mobility management solutions! Looking at all the benefits mentioned above, it is no wonder that there has been such an immense rise in the popularity of mobile enterprise solutions in the recent past. However, a number of businesses are still complacent about using this technology. If you are also a part of that creed of businesses, we are certain that reading these points would have changed your mind. And, if it has then it is time for you to hire our IT outsourcing services team who can help you with enterprise mobile applications that can supplement your business’ need for speed. Want to empower your business with ERP/CRM Mobile Integration? Wondering where can you get the right help for mobile enterprise solutions? If that’s the case, then you are just in the right place. At Signity Solutions, we have years of experience as a mobility service provider to back our expertise in enterprise mobility solutions. Drop us an email at info@signitysolutions.com and we will be able to offer all the assistance your business needs.